I had just given up on maki ng it as a novelist, a quest I had pursued for about 7 years and l,700 pages. I hated the job I had. One night when I was feeling especially low the writer Clifford Irving asked me if there was ever anything else I wanted to do. 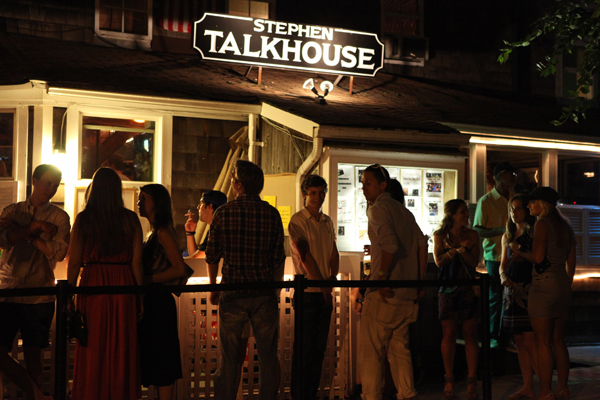 I mentioned owning a bar and he suggested buying The Talkhouse. In that moment I decided to do it. It took about five days to raise the money from the original investors. They were Jerome Schneir, my father-in-law at the time, Adrienne Schwartz, my aunt-in-law at the time, her friend Robert Pinto and my new wife Marcie Schneir and I. We opened in about two weeks on or about August l, l987.